The typical American household in 2017 owns more than two Apple products, and even as Samsung and Apple duke it out for top smartphone market share, the real estate industry appears to have a clear favorite: iOS. 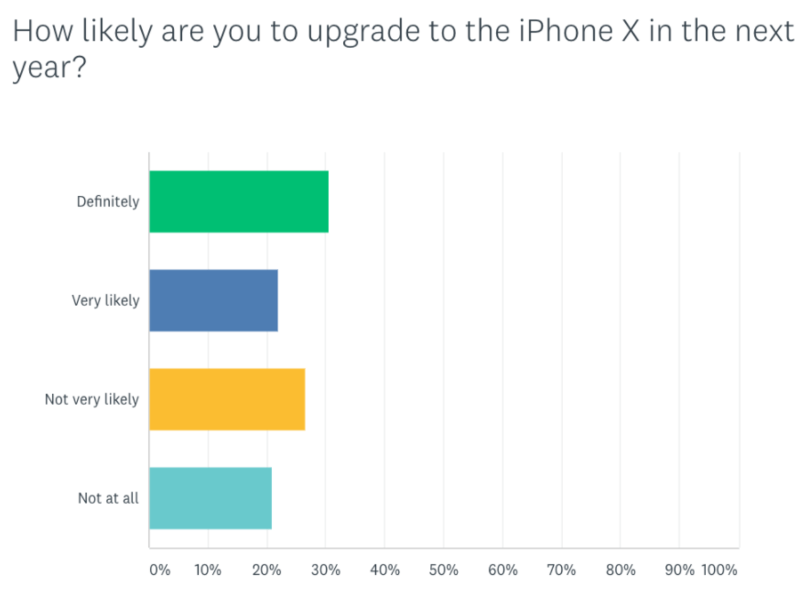 According to an Inman reader poll, real estate falls in the Apple craze camp, at least when it comes to phones. 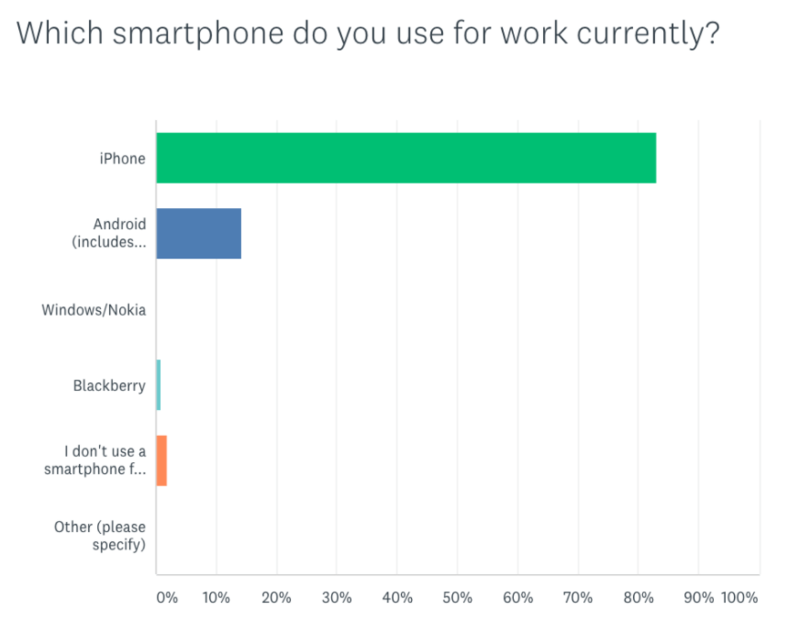 Over 80 percent of real estate pros use an iPhone for work, and more than half are either “definitely” or “very likely” going to splurge on the pricey iPhone X — which hits stores Friday — in the next year. At its September event, Apple announced the details of the iPhone X (pronounced “iPhone 10”), a new Apple TV with support for 4K ultra-HD video, and a new version of the Apple Watch with its own built-in cellular radio, allowing wearers to make and take calls without a phone nearby. One explanation for the piqued iPhone X interest may have to do with augmented reality (AR). The release of Apple’s iOS11 ARkit immediately boosted the AR capabilities of real estate apps starting at iPhone version 5s and going all the way up to the X. But the iPhone X is specially built to support AR with a host of sensors in the front. The focus on AR has exciting implications for real estate with regard to digital room transformation, property line capture and floor plan generation. 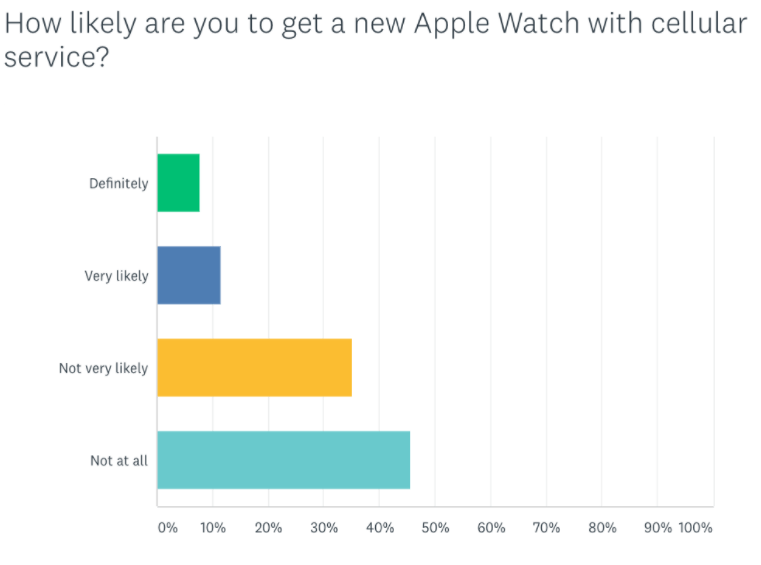 Contrary to their affinity for the iPhone X, real estate pros seem to have little interest for the wrist gadget, with over 80 percent saying they were “not very” or “not at all” likely to get the new watch. 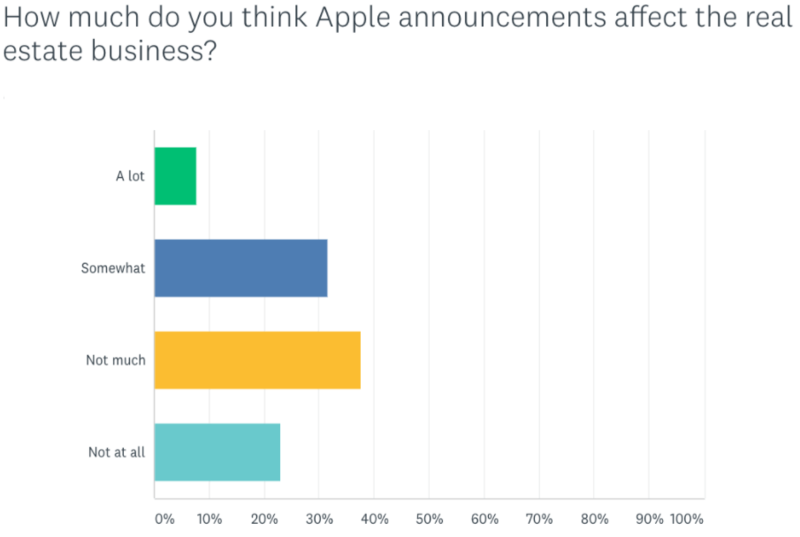 And the industry was also less enthusiastic about the impact of Apple’s tech events on the real estate business in general. The prevalence of Apple technology in American households is somewhat of a phenomenon given the steep cost of most of its products, especially when they are first released. “I cannot think of any other product — especially any other product at a high price point — that has that kind of permeation with the public and level of growth,” said pollster Jay Campbell, commenting on the CNBC All-America Economic survey, which polled Americans on their use of Apple products. Real estate appears to be no exception to the obsession, though some will stand by their Galaxy — the iPhone’s biggest competitor — with gusto. Inman’s poll results are based on 219 responses collected between Sept. 13, 2017 and Oct. 24, 2017. Should real estate pros upgrade to the new iPhone X? Are robot dogs the next big thing in home automation?